TSPSC Recruitment 2018: The Telangana Public Sevice Commission has invited applications for the post of Professors through the official website. Interested candidates can start applying from today at tspsc.gov.in. 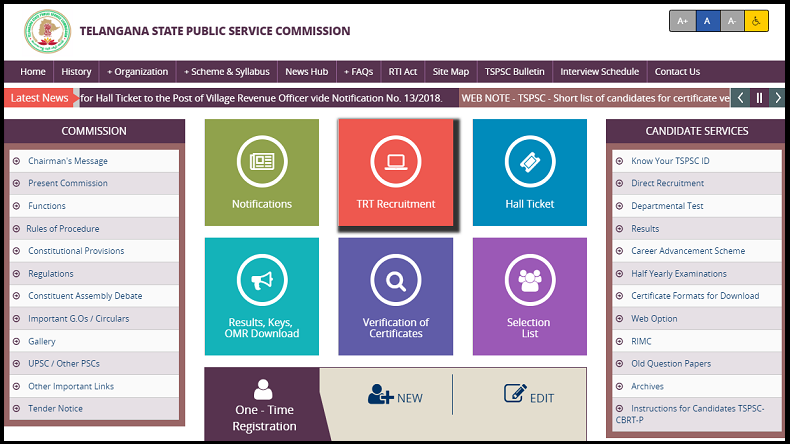 TSPSC Recruitment 2018: The Telangana Public Sevice Commission has released a notification for the recruitment of Professors and as per the notification the application process for the same has started on the official website of TSPSC from today, September 15, 2018. Those who are interested in applying to the posts can lo into tspsc.gov.in and check the details regarding the recruitment. According to reports, the last date for filling up of the online application form has been scheduled for October 1, 2018. The candidates who are applying for the post should also note that they must possess a Masters degree in Science (M.Sc) with a PhD doctorate degree. Moreover, the selection of the best candidates will be done on basis of a written test. Those who qualify the written exam will only be called for a PI or Personal Interview.